UPS will start road testing 50 plug-in electric delivery trucks designed in collaboration with Workhorse Group Inc. The delivery giant said technology has developed far enough so that these trucks will match the cost of conventional fuel trucks, even without various government subsidies. 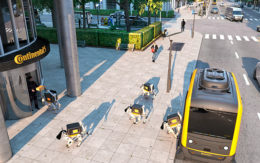 The initial price of electric delivery vehicles was the final barrier to large-scale deployment, said Steve Burns, chief executive of Workhorse. But the electric vehicle company has whittled the cost down, helped in part by falling battery prices. The cost for the new vehicles set to roll out this summer has now successfully come “within spitting distance” of any diesel counterpart and any size order, Burns said. Workhorse learned to shave expenses while working to meet the cost and weight requirements of a bid for the U.S. Postal Service’s new electric mail truck. The Postal Service is now testing that prototype. Through that process, the company found ways to save, primarily by lightening the vehicle. They have applied the new technology to this new design, made in collaboration with UPS’s engineers. About 35,000 of UPS’s current trucks could be replaced by the Class 5 electric vehicles, UPS said. Larger deployment is planned for 2019. The trucks “will be a quantum leap forward for the purpose-built UPS delivery fleet,” said Carlton Rose, president of global fleet maintenance and engineering in the Thursday release. Analysts also are seeing progress. UPS and Workhorse collaborated on the design. For driver safety, the vehicle is lower to the ground than traditional delivery trucks. 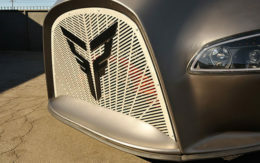 The height of the existing model is to fit equipment unnecessary in an electric truck, like a transmission, Burns said. Thanks to the e-commerce boom, there’s now a large enough market for a purpose-built last-mile electric delivery truck, he said. “As it turns out there’s going to be a lot of packages delivered in the U.S.,” Burns said. UPS also said it anticipates lower maintenance costs from the electric powertrains, as much of their traditional vehicle maintenance costs come from the engines. This is not UPS’s only foray into alternative fuel technology. They have also experimented with hydraulic hybrid, ethanol, compressed natural gas, liquefied natural gas and propane vehicles. The company is running a test of hydrogen fuel cell delivery trucks in California. UPS has more than 300 electric and 700 hybrid electric vehicles in use in the U.S. and Europe. They have pre-ordered 125 of Tesla’s electric semi-trucks and in September began using three of Daimler’s Fuso eCanter medium-duty electric trucks. The trucking and logistics industry is increasingly taking electric powertrains seriously. Earlier this week Daimler’s Mercedes Benz division said 10 of its eActros heavy-duty electric vehicle models would go to customers for testing. Volvo Trucks will begin selling battery-electric delivery trucks in Europe in 2019. Freightliner, Western Star, Kenworth, Toyota and diesel engine manufacturer Cummins all are also developing zero-emission commercial vehicles.